“Time Bokan: Yatterman”, “Mobile Suit Gundam” and “Armored Trooper Votoms” – These are just some of the anime Kunio Okawara (67 years old) has worked on. 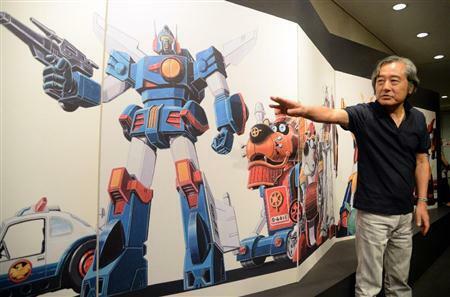 To celebrate the opening of the “Mechanic Designer Kunio Okawara Exhibit”, Sankei Newspaper has decided to interview him. It’s been almost 43 years since I started working in this industry, I learnt all the basics of my job at Tatsunoko Pro. When I first joined the company in 1972 they had around 200 employees, of them around half were in their late teens or early 20s. We were very much a youthful company, the lively atmosphere was almost like that of a school. I was assigned to the leader of the Art Department, Mitsuki Nakamura (who later worked on “Mobile Suit Gundam” & “Nausicaa Valley of the Wind” as Art Director). I believe that I am where I am today thanks to Nakamura. On my debut project “Science Ninja Team Gatchaman” aside from the main designs that were done by Nakamura, I worked on the majority of the mechanical designs. I think this probably came about because Nakamura thought “This new kid sure is eager” and to keep me occupied he kept giving me new assignments to work on. Back then Tatsunoko had a big hit with “The Adventures of Hutch the Honeybee” and so I’d often get various directors asking me “Why don’t we create some mecha with an insect or animal motif?”. The common line of reasoning was that “If we want to market something to children, we’d have a bigger impact if we designed something with a motif children are very familiar with”. Because of this I decided to stay away from overly detailed or grotesque types of designs and eventually decided to aim for designs that would get children excited. I’ve loved creating things ever since I was a kid , so in order to inspect and validate my mechanical designs I would often hand craft models of them. Around the time I worked on Daitarn 3 I had just become a freelancer. I would create models of my designs and take them to various sponsors and toy companies using them as part of my presentations. My hope was that visualising the designs in real life would give them a better idea on how the eventual toy would look like. I like to think of a robot’s transformation sequence as a puzzle. Since toys have safety standards, simplicity was required. With as little complexity as possible I often liked to create transformations where the silhouette would undergo the biggest changes. Some designers often shy away from such things, but for me personally, I am very fond of thinking up transformation and combination sequences. I really enjoyed figure it all out like a puzzle. I found salvation during the golden era of robot anime in the 1970s and 1980s. For “Mobile Suit Gundam” the “Zaku” was originally not meant to go on sale so I was given a lot of freedom with the design, I had a lot of fun designing it. 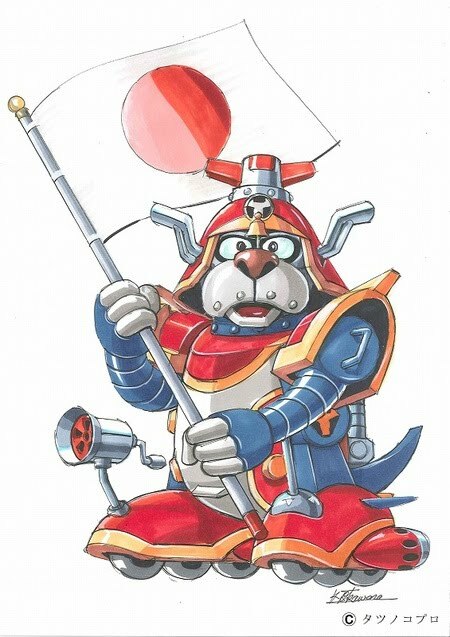 Director Yoshiyuki Tomino only had a single design request for me and that was the “mono-eye”, other than that I designed the everything else myself. When it comes to the mecha in anime, you need the silhouette to stand out otherwise it will leave no lasting impression. It was important to realise that by simply looking at the silhouette the viewer would know that it was a “mobile suit”. When it comes to a Zaku it’s the energy pipes that quickly catch your eye. When thinking tactically you assume that hitting the pipe will disable the unit, so you could even consider it a weak point. However had that pipe not existed then people would easily forget about the unit. In that sense the mecha are also one of the characters. I believe that for each and every show the design concept of the mecha should match with the tone of the show. However I think that with mecha in some modern shows, the concepts often fail to match the shows they inhabit. Within the larger Gundam franchise, I believe that “Mobile Fighter G Gundam” is a show with immense meaning. I believe it was an amazing achievement for director Yasuhiro Imagawa, with his Tatsunoko sensibilities, to shatter the image of Gundam to such a degree. When I began working on the show, I was quite serious. 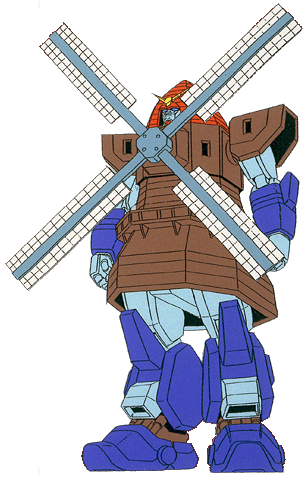 However Imagawa came up to me and said “It’s OK to make it more like Yatterman” – and so without feeling any shame I decided to make the Gundam for Holland into a windmill. It was a very interesting show to work on. It was almost like going back to working on Yatterman. There was a lot of criticism of course, but we managed to overcome it and get G Gundam on air. The projects that came after, Gundam Wing and Gundam SEED, also overcame similar odds. The younger directors working on Gundam these days often like to have a message they want to get across, I believe that you can trace this back to G Gundam. I rarely turn down an offer. I often design all the mecha on a show and all the individual components for the mecha. I figure it out all in my head. Being able to create a design is the ability to combine all of that. Even though I devote myself to my work, I do not consider myself to be an artist. If I am requested, I will correct other designs since it is not something I dislike. I’m the kind of person that draws happiness from working and finds it hard to stop. Also my family is happier when I am busy with work (laughs). I was the first person in Japan to be credited with “Mecha Design”, I felt I had the responsibility to continue that banner until I was 60, so I wholly embraced mecha. So even thought I turned 60, around the age which a salaryman might retire, I figured I would carry on and give a little back to people. Within reason I’ve tried to go to autograph sessions and similar events, but I’ve started to get offers for other kinds of work too. So I think I still have a lot of ideas to offer from here on out, one by one I’d like to enjoy myself trying them out. Animator Masami Obari (49 years old) has been influenced by Kunio Okawara, has also worked on the “Braves Series” and “Gundam Build Fighters” he joins us as we cover the opening of the “Kunio Okawara Exhibit”. Okawara’s designs have had a lasting impression on me ever since I was a child, for me personally his designs embody the “ultimate in coolness” factor. In particular I think the design for “Invincible Steel Man Daitarn 3” is the perfect embodiment of justice. 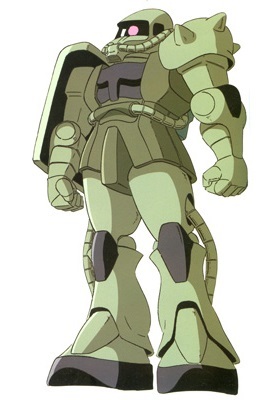 Okawara did the lead mecha design on one of the show’s I directed, “Super Heavyweight God Gravion”, if you notice carefully Gravion’s feet resemble Daitarn 3’s feet. When we started planning Gravion, we started with Okawara’s mecha designs even though we had no characters planned out. I felt even more energised to work on Gravion simply because it was a super robot designed by Okawara. When I worked on the opening for “Metal Armor Dragonar” I was still only 20 years old. I firmly recall that since it was a Sunrise show, it was a given that Okawara was the mecha designer and so I felt immense pressure on getting the opening right. Following on from that I worked on the show “Brave Exkaiser” which kicked off the rest of the “Braves Series”. 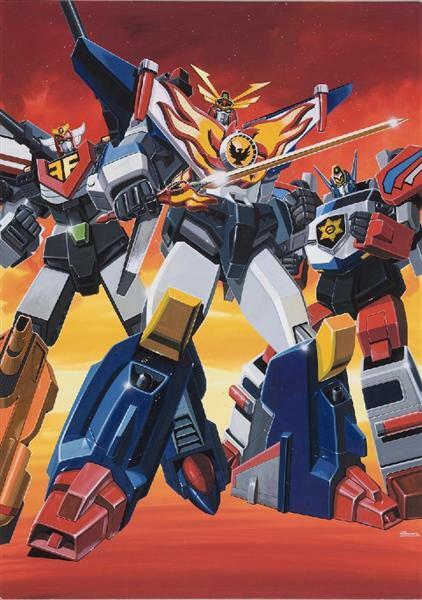 For second show in this franchise, “Brave Fighter of Sun Fighbird”, I remember drawing pencil outline of the main promotional image and that got inked by Okawara himself. I was deeply awestruck and moved at the same time, to think someone that I admired so much would work on an image that I drew. Okawara robots are symbolic, so there are times when I can’t help but emulate him. When I am designing robots, without me even realising it I end up drawing parts and segments like Okawara does. Me and my animator friend, Masahiro Yamane, end up referring to those pieces as “O-Parts” (laughs). I firmly felt the importance of drawing the Gundam when I worked on “Gundam Build Fighters”. Even though the “RX-78 Gundam” is a simple design, when I was animating it, I felt a deep sense of profoundness and gained a new sense of appreciation for the original Gundam. I’m probably being incredibly pretentious when I say this, but I think I’m the best person when it comes to animating Kunio Okawara’s robots. Rather than to say I love his designs the most, it’s more that I’ve been at it the longest (laughs). That’s all folks. I hope you enjoyed this interview. I know I gained some new insight into Kunio Okawara whilst translating this. This entry was posted in Insight and tagged Kunio Okawara, Masami Obari, Mecha. Bookmark the permalink. I remembered that I have a little book called “Kunio Ohkawara Design notes”. 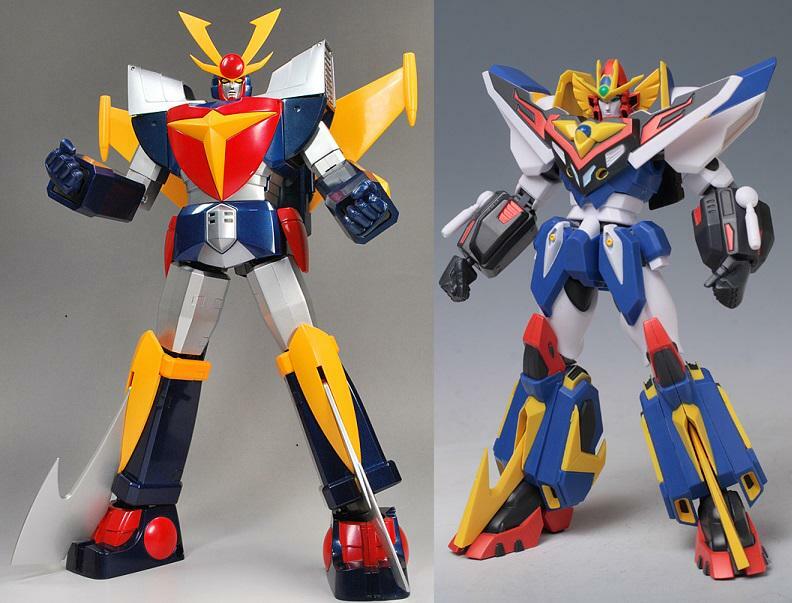 It includes designs: Gatchaman I, II and F, several Time Bokan series, Gundam, Dougram, Xabungle, Daitarn 3 Trider G7 Daiohja 5 Godam and Kaitei daisenso. It is a book of animage 1981. Soon I will post pages of the book in my blog. PS: when Ohkawara mentions that in the late 70s he worked freelance, he did not say who was in the studio Design Oficce Mechaman with Mitsuki Nakamura. I think it was a few years since 1977 maybe. Thank you for visiting and writing as always! I look forward to seeing those images! I already wrote the post with images from the book. Greetings! Hello Kraker! View my last post. I posted the first part of the Ohbari’s G-1 Illusion doujin. Gracias! Thanks for the images, they are very interesting! Thanks for translating. Also don’t miss the long interview Forbes did in person with Okawara, it’s a fantastic article that I loved reading.